This is a problem that we might experience while using any operating system. So how do we reset the administrative password? To reset the machine password we need to boot into recovery mode. To do that we must enter the GRUB menu. 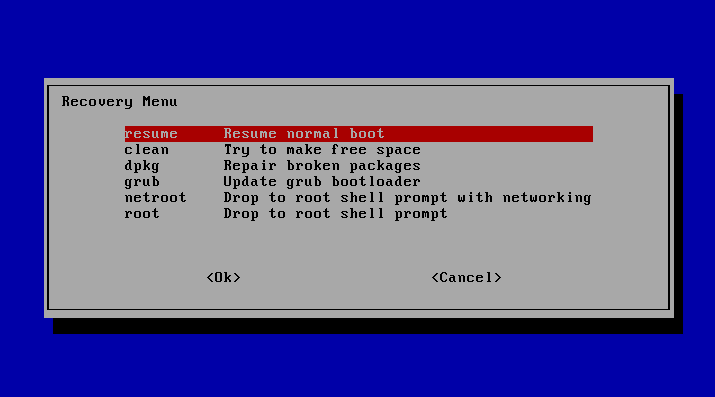 If you have a dual-boot or multi-boot ( two or more operating systems on the same computer) you will see the GRUB menu directly. Select the second one (the one with recovery mode). Select root or netroot using the arrow keys and press ENTER. Now we can set the password using passwd command. Substitute USER by your user name. Type in what you want the new password to be at the prompt. After it's successful reboot the machine and then you will be able to log in with your new password.